Despite the Foreign Ministry's boycott against the Swedish foreign minister, MK Livni meets with Margot Wallstrom. After the Foreign Ministry decided to "boycott" Sweden's Minister of Foreign Affairs Margot Wallstrom, MK Tzipi Livni (Zionist Camp) met with her anyway in Stockholm. 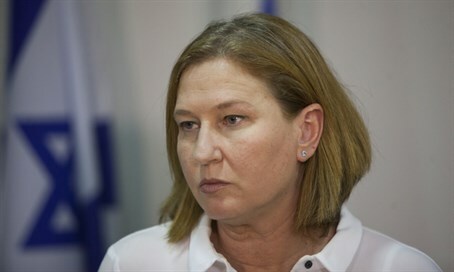 In an issued statement, Livni stressed during the meeting the need for clear and public support by the Swedish FM for Israel's right to defend itself, as well as her expressing opposition to the BDS movement calling to boycott Israel. At the end of the meeting, Wallstrom expressed support for the two countries and said she hoped that relations with Israel would return to normal. Wallstrom lashed out in a series of anti-Israel statements in recent months, including her accusation that the Jewish state is carrying out "extrajudicial executions" in the way attacking Arab terrorists have been shot dead in the act of trying to murder Israelis. She also blamed the Islamic State (ISIS) terrorist attacks in Paris on "Palestinian frustration" with Israel. Following the remarks of the Swedish FM's, the Israeli government announced a ban on meetings with Wallstrom.